I just wanted to give an update on the progress of my book, Patternmaking for a Perfect Fit. For those of you who hadn't heard, I've been taking a bit of a break from teaching this past year, because I'd submitted a proposal back in June of 08' to the publisher Watson-Guptill with the intent of writing a book based on the garment copying class I've been offering at places like Han's and Nancy's Notions. I began the work on the book in January of 09' and have worked on it as my main focus for over a year now. 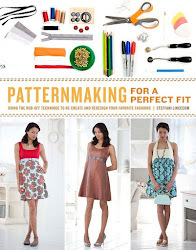 The full title is "Patternmaking for a Perfect Fit: Using the Rub-off Technique to Re-create and Redesign Your Favorite Fashions," and it outlines the process of making a pattern from an existing garment without having to take the original apart. This rub-off method is what is commonly used to build a "closet" for a character in a film or television show. 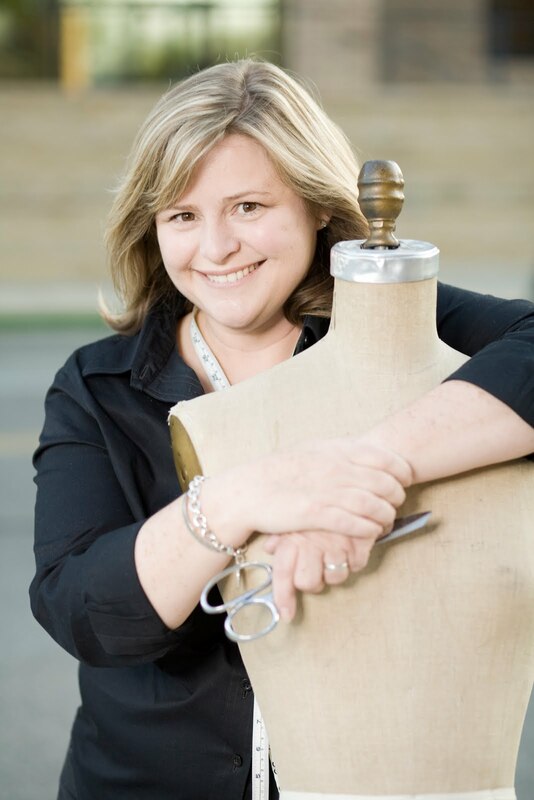 It allows you to begin with a garment that you know will already fit you and that is flattering to your figure and simply re-create it in other fabrics, or with new details. It's an excellent introduction to a more intuitive "right brain" approach to making patterns. 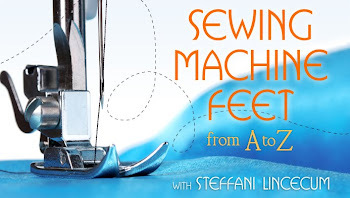 Another tool for you in addition to textbook patterning methods you may already know. Traditional ways of making a pattern are the flat pattern method where you take your measurements and draw the pattern out flat on a piece of paper using those measurements, or draping fabric on a dress form in your size in order to create a pattern. So, if you don't have a dress form in your size, haven't taken a flat patterning class, or you just have a favorite garment that fits you but you can't find it anywhere in the stores because they just don't make it anymore, then this is a great skill to have. In the book I take four classic vintage garments: a sheath dress, a pencil skirt, a fitted blouse, and a little Kelly bag, and show exactly how to make a pattern from each one. Then for each garment I show how to further tweak the pattern to make even more style variations. The great thing about it is they all fit! Because you begin with an original that already fits you to make the pattern, instead of buying a commercial pattern and then trying to make it fit you. 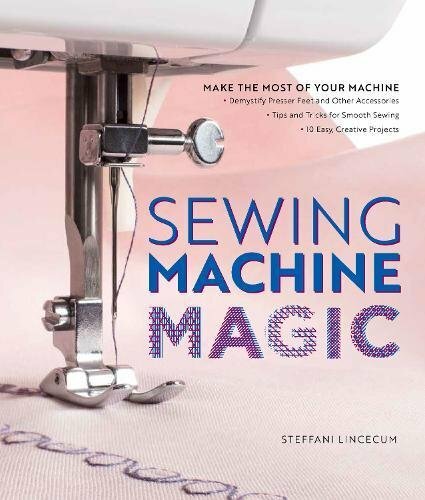 For the book I created about 160 illustrations that detail the process , as well as beautiful color photographs of the patterning and sewing by Timothy Hughes of Madison. The sewing samples were made up in gray cotton with contrasting white thread to highlight the stitching, and the finished garment variations were made up in colorful fabrics by Amy Butler, Oilcloth International, and other fabrics and notions from Vogue Fabrics in Evansville. After all the garments where complete, I sent them all to the publisher in New York where they were photographed by Michael Turek, who's work on the Daniel Vosovik book "Fashion Inside Out" just blew me away. All the writing is complete and I've seen the first pass of the book all put together. It's just going through all the final adjusting and will be sent to the printer this summer. It will be released October 19th, 2010 and is now available for pre-order at all your favorite bookselling websites. I'm so excited to get to share it with you all. So that's it in a nutshell, I've been asked a lot what the book is about, and wanted a place to explain it fully, so I thought I'd do it here and as photos and other information become available I'll share those here as well.